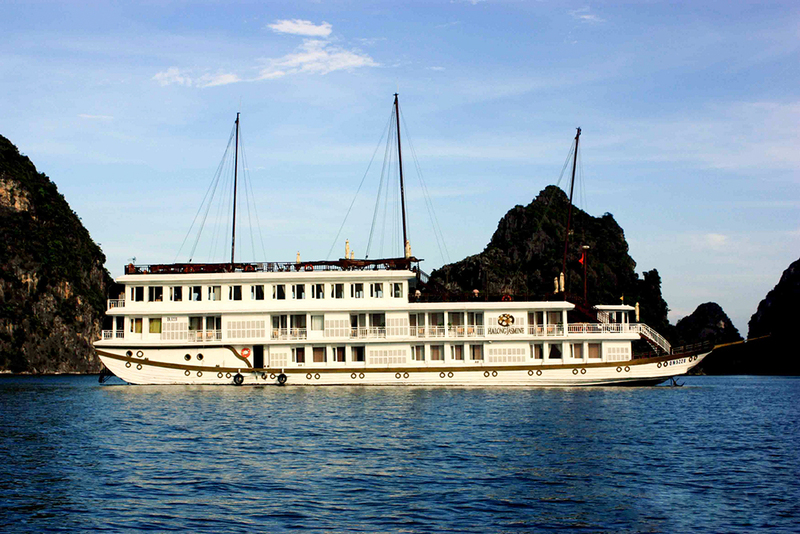 Operated the first time on 18 December 2007, the Halong Jasmine Cruise which is decorated in the 1930’s Indochine style is one of the newest four star junks setting the standard for services and amenities on the bay.With 22 spacious modern cabin and two special jasmine suites with their own jacuzzi and balcony for spectacular views of the bay, the Halong Jasmine Cruise ensures to bring tourists the highest quality service. Richness of 1930s classic Indochina-style wooden décor and exquisite ornamentation through its air-conditioned bedrooms, restaurant, bars and communal spaces shows the attention to detail and quality of design is clearly in every inch of this newly-built junk, artfully marrying space. 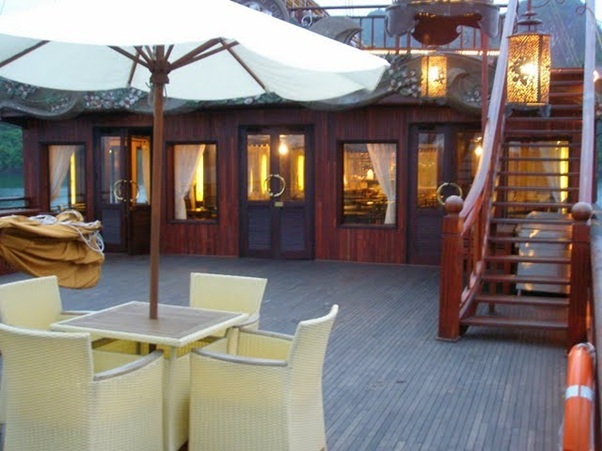 With its comfortable lounge chairs available on the Sundeck full of fresh breeze and dazzling views, the boat is suitable for guests to lie back and relax. Together with the restaurant offering the best dishes, the Sunset Bar which features an impressive range of cocktails and a relaxing atmosphere is a delightful place to socialize and watch the sunset behind the bay’s countless islands. Guests also can gather in the formal dining room, enjoy casual barbecues while enjoying the magnificent scenery on the terrace and marvel at the bay’s moonlit beauty on the Jasmine’s wide Sundeck. 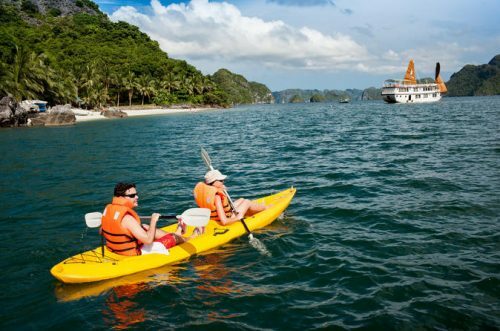 Various traditional massage treatments are available for tourists after all day long learning Tai Chi, kayaking, and visiting local fishing villages. 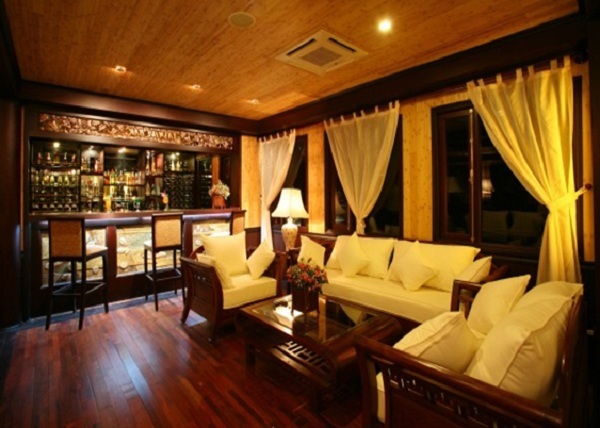 The Jasmine’s passionate and friendly staff are surely to provide tourists with the best service. 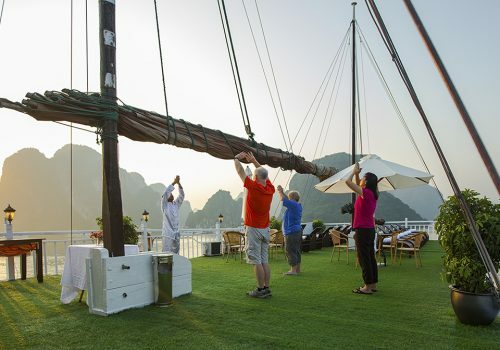 No matter what you want to do from holding a party on the terrace, enjoying an intimate homey dinner in the Jasmine restaurant to relaxing and unwind in the Jasmine Spa, Halong Jasmine is the perfect way to enjoy the bay. 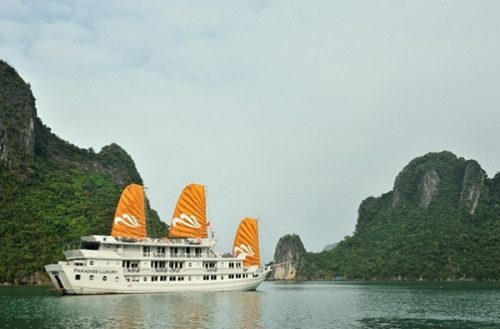 With many years experience in offering the best trip to a large amount of tourists, our Indochina Voyages are self-confident to make you contented during your trip on Jasmine Cruise. Contact us for further advice.